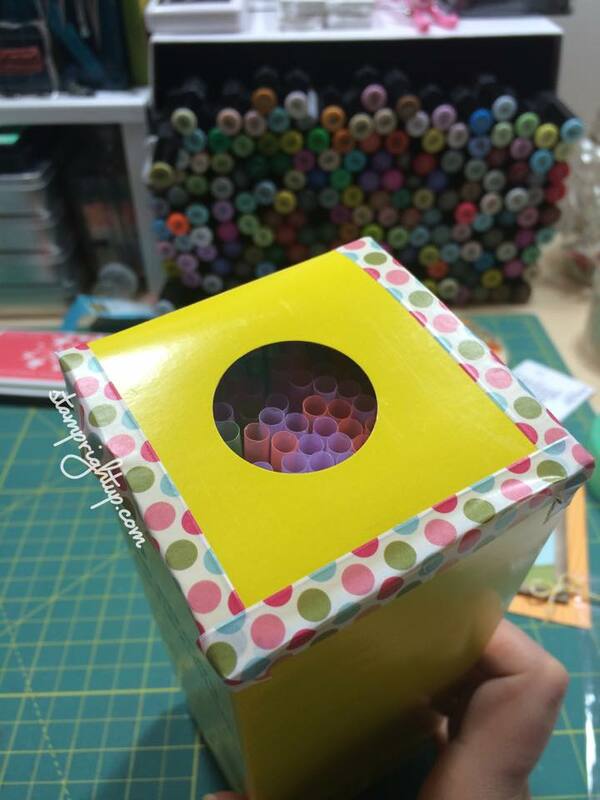 Accidental Crafter: Washi Tape & Circle Punch Straw Container | Stamp Right Up! So, the save myself the peril of throwing straws all over for the floor for the last time, I turned to my handy circle punch and grabbed my favorite roll of washi tape. All I did was punch a hole in the lid of the box, then sealed it shut with my washi tape. And BAM – easy peasy DIY streaw dispenser. Crazy crafter wins the straw battle.